From the earliest cave drawings, to classical paintings, to crayon scribbles, humans just have a thing for visual expression. These days digital art has spurred new opportunities for creativity, going well beyond good old pencils and paper. It's against this canvas that we bring you Tilt Brush—a new virtual reality (VR) app that lets you paint from an entirely new perspective, available today on the HTC Vive. 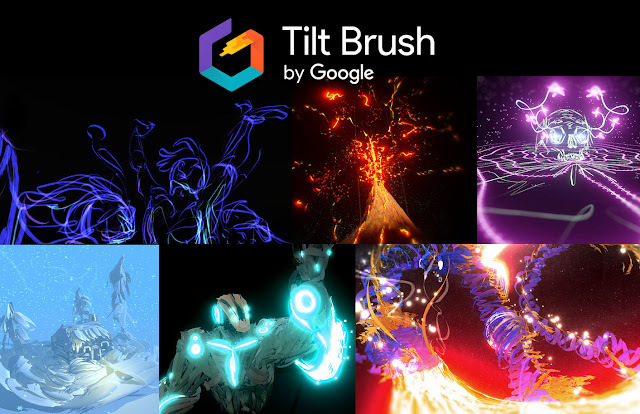 With Tilt Brush, you can paint in three-dimensional space. Just select your colors and brushes and get going with a wave of your hand. Your room is a blank slate. You can step around, in and through your drawings as you go. And, because it’s in virtual reality, you can even choose to use otherwise-impossible materials like fire, stars or snowflakes. 3D artwork drawn in Tilt Brush One of the best parts about any new medium is just seeing what's possible. So, we brought Tilt Brush to The Lab at Google Cultural Institute—a space in Paris created to bring tech and creative communities together to discover new ways to experience art. Since then, artists from around the world and from every discipline have come to explore their style in VR for the very first time.